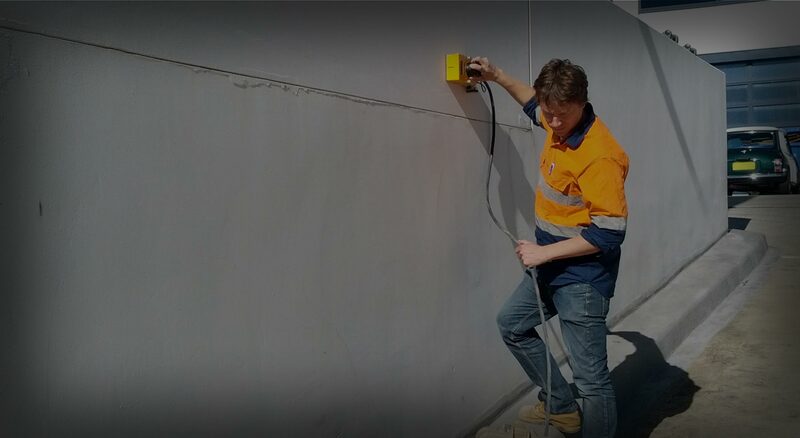 The Ground Penetrating Radar (GPR) system commonly used for slab scans, including the subject slab scan in Sydney, is a Mala CX12 machine with a 1.6GHz antenna. The 1.6GHz antenna would typically penetrate to a depth of 400mm in concrete and is best for detecting shallow features such as layers of reinforcement and any embedded utilities such as live power. 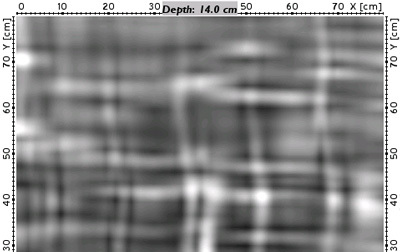 The slab is typically scanned on parallel line spacing perpendicular with scan lines at 200mm centres. A section of a slab can also be scanned with lines at 100mm centres to provide greater detail. 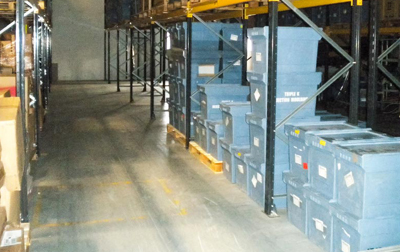 GPR excels in determining the general construction detail of floor slabs. 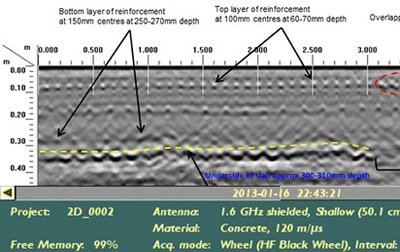 The results of the slab scan conducted in Sydney were marked in-situ and presented in a report with sketches and annotated radargrams. Areas of additional reinforcement were detected and the position of these areas suggested they may be footings/beams.